NYU Birthright Israel is NYU’s official campus trip to Israel. Since the Bronfman Center is a department of NYU, we build a trip specifically catered to the NYU undergraduate student population that enables an exposure to nuance, community, and growth. NYU Birthright is not a sight seeing journey of Israel, but instead is an insight seeing journey of the Jewish spirit. With top trained and selected staff, we allow students to openly grapple with all aspects of the Jewish identity on their own terms. We push students to critically think, engage across Jewish difference, to step into vulnerability and to grow. The best part of this trip is that the community built on the experience lives with you on campus. Come back to NYU with a tight knit and warm community of friends that will be there with you to continue your journey. so What is Birthright Israel anyways? 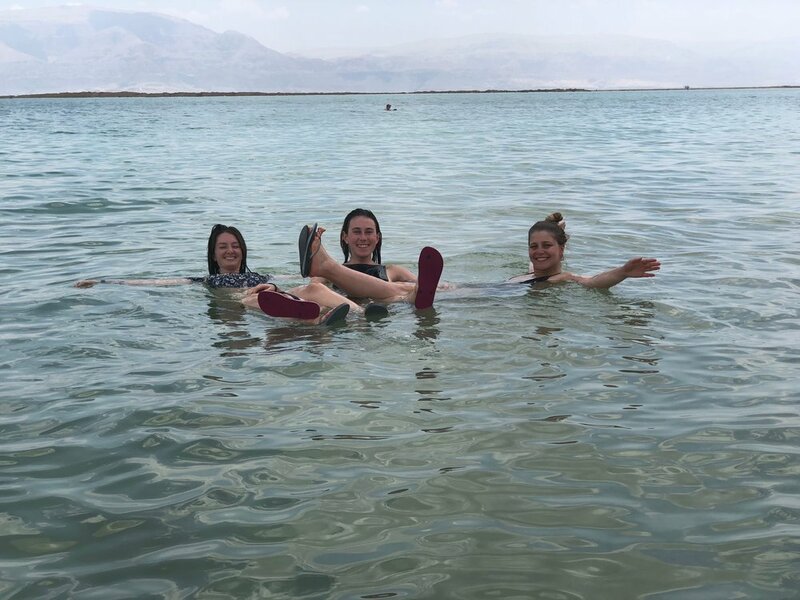 Birthright Israel is like a sample platter of Jewish identity, one that opens a window for folks to personally struggle with each facet of the Jewish identity. Though ten days seems like a long time, this trip is meant to encourage participants to continue growing in their identity and further immerse themselves in the process of grappling with their identity. At NYU, we are lucky enough to continue not only the incredible community we form on the trip back on campus, but we can also continue growing on campus. Our next trip takes off on May 27th and returns June 6th. Spots fill up quickly so apply at www.freeisraeltrip.org/nyu.